Sometime in the 1990s, this loathing of cemeteries changed to a positive obsession, mainly through my research interests in early America. 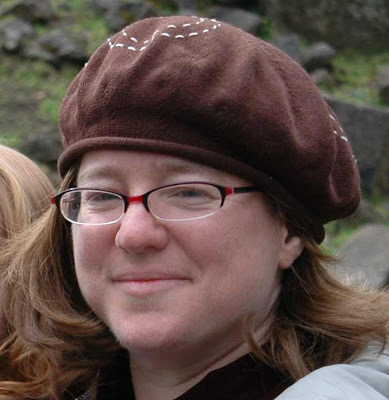 I am a professor of English and Humanities at Reed College in Portland, Oregon, and I specialize in early American life. Most of my early scholarship was on New England’s Native American communities, though more recently I have been working on Spanish-Portuguese Jews in the colonies, including North America, South America, and the Caribbean. Cemeteries provide an awesome way to understand a much wider spectrum of individuals than are usually represented in print culture. One of the things I love about early American cemeteries is that they provide information not only about a wide range of ethnic groups (Native Americans, African Americans, Jews, Anglos), but also a wide range of ages and economic classes. Moreover, the stones are beautiful. In Puritan New England, gravestones were often the most elaborate art form. The same often holds true for Jews in the colonies. Most early Jewish American gravestones are influenced by the sepulchral tradition out of Amsterdam, which is awesome in its fancifulness and exquisite carving style. 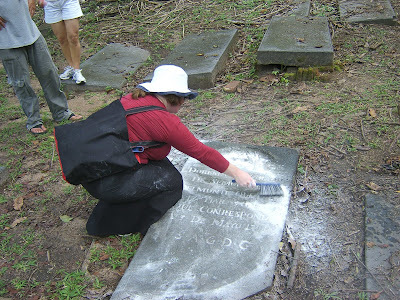 I am currently writing a book on material culture in the Jewish Atlantic World (1620-1820) and in the course of doing my research have visited early Jewish cemeteries in locations such as Newport, Philadelphia, Suriname, Curacao, Jamaica, Amsterdam, and soon Barbados. Most of the images from this research will eventually be available in an online database (Summer 2011? ), but in the meantime I am enjoying sharing them and some of my research on my gravestone blog Early American Graveyard Rabbit and Travels Through Jewish History. It is exciting to be connected to other people who are as interested in gravestones as I am!